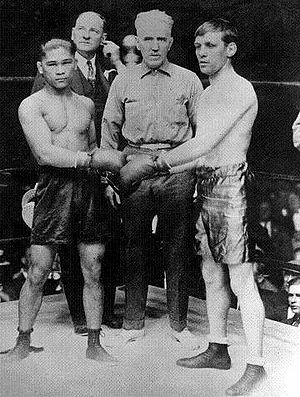 Villa and Wilde pose before their historic 1923 bout. 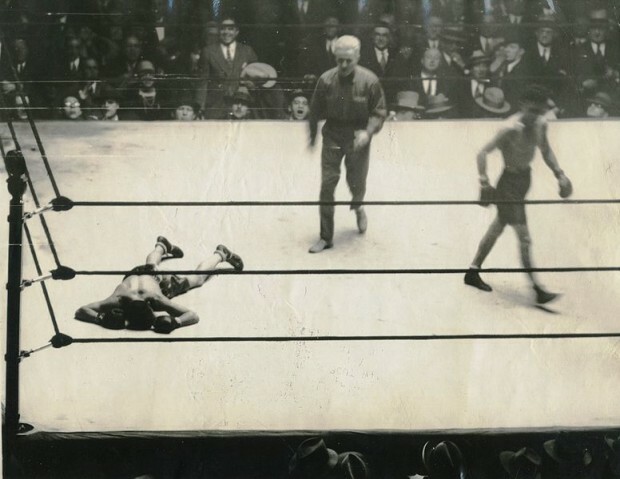 In 1922 International News Service editor Davis J. Walsh wrote, “[Villa] is yards faster than any fighter we have seen in an American ring in ten years, hits from any angle with rare accuracy and seems to pack a punch for a little man.” In 1923 Villa defeated an aging Wilde and turned the division upside down, but just two years later a surgery complication took Villa’s life and left the division with no ruler. Enter Fidel LaBarba, 1924 Olympic gold medalist. 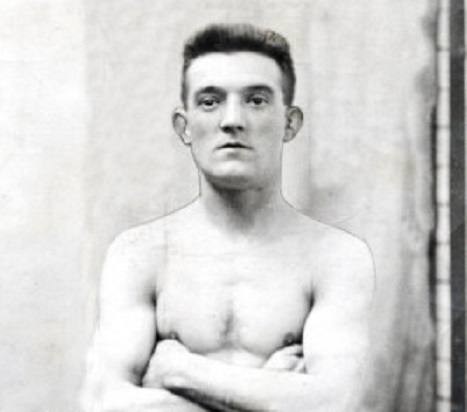 In his first ten fights as a pro, LaBarba had faced future welterweight champion Jimmy McLarnin three times and Newsboy Brown once, failing to defeat either of them. 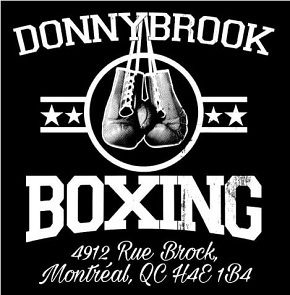 But the experience he gained no doubt aided him in bout number eleven, when he captured the vacant world flyweight title by decision over Frankie Genaro, who himself had bested the late Villa three times. 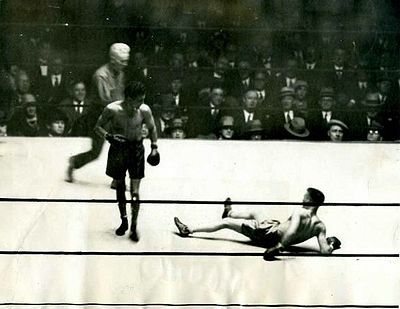 Though flyweight still wasn’t much of a glamour division and played second fiddle to the bigger men of the 1920s, it nonetheless produced a heap of drama during that decade, with LaBarba’s short, potent reign a major part of it. 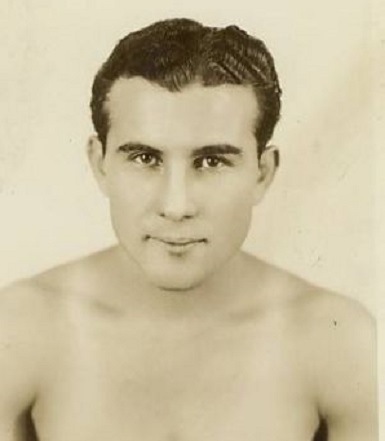 Fighting out of Los Angeles, LaBarba avoided defeat through 14 matches as champion, even if he couldn’t manage to best Brown, settling for a second draw with him in late 1926. Then came rumblings of another champion, a fighter from Scotland named William “Elky” Clark, who challenged the legitimacy of LaBarba’s crown. Following some light verbal sparring through the press, Clark’s manager Charles J. Harvey got permission to ferry Clark from Scotland to America, but there remained two concerns. 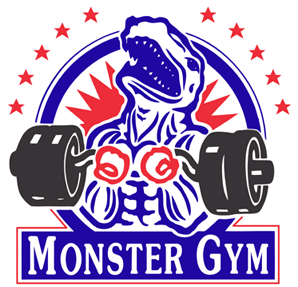 First, most of LaBarba’s bouts after winning the title were contested at catchweights and there was doubt he could make the flyweight limit. Plus, the New York State Athletic Commission was reluctant to sanction a LaBarba vs Clark fight without the latter first proving himself against lower-level American opposition. By mid-November of 1926 at least one of the issues had been resolved as the president of the National Sporting Club of London, Peg Bettison, stepped forward to vouch for Clark’s abilities, allowing the NYSAC to sanction the match. Famed promoter Tex Rickard would promote the clash, while Madison Square Garden matchmaker Jess McMahon handled the finer details. Adding an extra dose of history was a pre-fight report from the Associated Press stating Clark would be the first boxer to use the new transatlantic phone system, as he had scheduled a call to The London Times to give his description of the fight the following morning. The Garden, jammed with 16,000 people, watched as Newsboy Brown earned a decision over Frankie Genaro in the 10-round co-feature, then waited with surprising anticipation for a bout between two men who weren’t even close to being local. 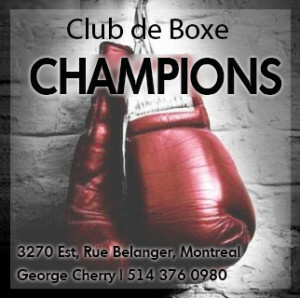 Excitement was for naught however, as LaBarba handed Clark a decisive beating through 12 rounds. What might have been a hard-fought battle to decide a global, undisputed flyweight champion wound up instead marking a violent end to Clark’s career. Elky visited the canvas five times.